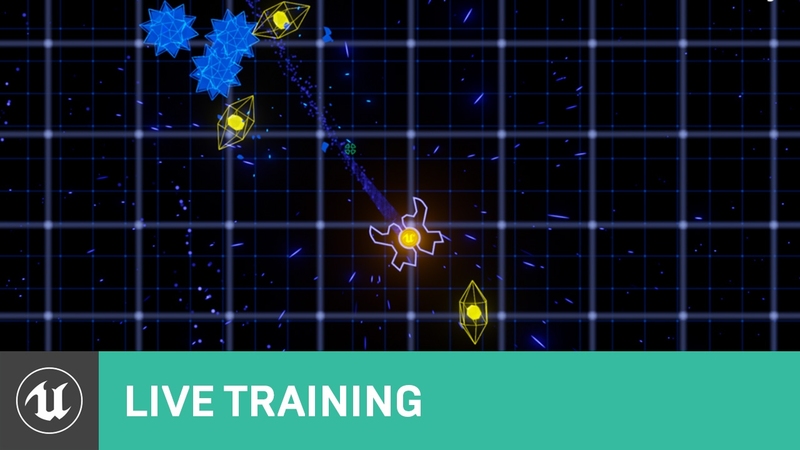 Sr Technical Artist Alan Willard walks us through the creation of his Silly Geo twin-stick shooter game. Learn about camera manipulation, input setup and handling, firing and taking damage, spawning enemies, and more! Feel free to ask any questions on the topic in the thread below, and remember, while we try to give attention to all inquiries, it's not always possible to answer everyone's questions as they come up. This is especially true for off-topic requests, as it's rather likely that we don't have the appropriate person around to answer. Thanks for understanding! Last edited by Chance Ivey; 04-14-2015, 04:17 PM. Reallying looking forward to this stream and getting some insight on twin stick shooters, especially on stuff with enemies. I would love it if the stream covered having the player face the direction the are attacking instead of they direction they are moving so you can be strafing and/or backpedaling while attacking, then switch back to facing where they are moving when not attacking. As well as having attacks with different ranges, sizes, spreads. Also getting enemies to approach the player but stop when they are close enough to attack the player, be it long, short, or melee ranges. You can never have too many A.I. tips after all. Last edited by Ayewyn; 02-02-2015, 04:29 PM. Waiting for it already. Specially interested in seeing some AI for this kind of game. Neat topic! Looking forward to seeing what you have to say! Going to be awesome. Smash TV remake! let's do this! Thanks Alan for a great stream and answering all our questions. How soon can we get our hands on that project? I am very eager to start picking it apart. The project should be up in the Learn Tab soon. I don't have an exact ETA, but we will post back here as soon as it is available. My pleasure! Hopefully everyone who got to see it (and those who watch it on YouTube or in the Learn tab) got something useful from it! sounds like I missed another great stream. pfht -> real life, huh! will there be an archive of all the training streams? I believe the plan for this one is to make it available through the Learn tab once the project is released. Archive is up, and in the initial post, y'all! And now to watch the learn tab like a hawk till the project shows up. Anyone see it yet? It didn't appear for me on the Learn tab.